Free 2-Day Shipping (till 12/19/2018). The AquaBed is the perfect solution for sleeping warm and safe this winter season. 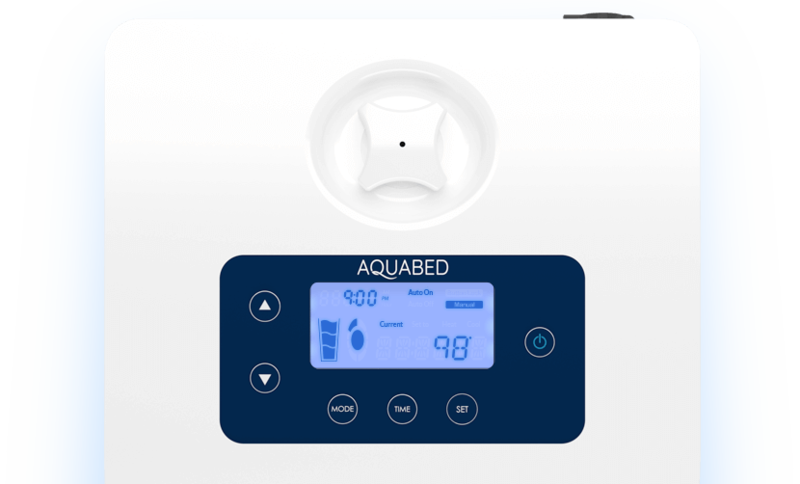 The AquaBed utilizes water-circulation to distribute heating and cooling effects to the bed. The AquaBed eliminates all electric wires, fire hazards, and EMFs from the sleeping area, keeping you warm and safe. "My elderly parents love it!" "I got this product for my 84 year old dad who was using an electric blanket. He loved it and I am impressed with the quality and that it works so well. " "Comfy and Cozy - Keeps the bed warm and, therefore, you do not need an electric blanket. " Sign up to receive the latest news from Aqua Bed Warmer!